Summer is Farmers Market season and with over 60 options of farmers markets to attend in Chicago, you should be able to find one that is convenient to you. By shopping at farmer’s markets you’ll be adding variety and nutrition to your meals as well as supporting small family farms and the local economy. Buying local meals you’ll be reducing your carbon footprint since the food didn’t have to be shipped half way across the country or globe, and with the reduced travel time, your food can be picked ripe and eaten fresher than typical grocery store foods. Challenge yourself to try one new fruit or vegetable every time you visit a market. Check out the following suggestions for preparing new foods that you might not be used to cooking with. Cauliflower, potatoes, and squash make hearty, satisfying soups on their own but have you ever tried adding greens to a blended soup? Kale, parsley or nettles added to a potato based soup helps you get in your dark, leafy greens. Top your soup with roasted pumpkin seeds or fresh herbs from the market. If you got a little over zealous and bought more than you can chew, you can always drink it! Blending and juicing are great ways to use up your extra produce and consume a concentrated amount of nutrients at the same time. Experiment with recipes that use more veggies than fruits. Carrots, beets, cucumbers, greens, celery, fennel, mint and even sweet potato are all wonderful juiced. Most greens blend nicely into berry based smoothies. Roasted mixed veggies are simple and satisfying. They are easy to prepare and store well in the fridge for a few days. You can roast nearly anything: potatoes, sweet potatoes, onions, peppers, broccoli, cauliflower, beets, kale, zucchini, squash, brussel sprouts, or asparagus to name a few. Top with garlic, fresh herbs, or lemon zest before roasting for added flavor. Harder vegetables like celeriac and kohlrabi can be grated and made into slaws. The key to a good tasting and healthy slaw is in the dressing. Opt for high quality olive oil and apple cider vinegar or lemon over packaged, processed dressings. A good quality, coarse sea salt will also add flavor and interest to your slaw. Get your probiotics from veggies! Farmers markets often sell unique, pickled, homemade veggies like pickled beets, sauerkraut, corn, relishes, cauliflower and more. 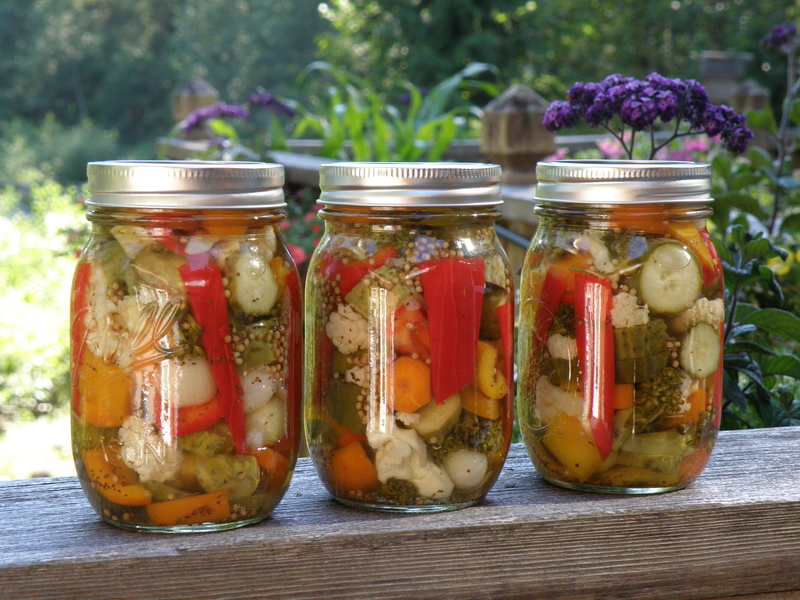 Use these daily as condiments for your meals to diversify your gut flora and add a tangy zip to your food. Take advantage of the opportunity to get farm fresh eggs; they are undoubtedly fresher than store bought and usually have rich, dark yellow or orange yolks. Duck eggs are amazing if you can find them! They are a little larger and richer than chicken eggs and are delicious poached. Eat a poached egg on top of a rice or quinoa bowl that includes a fermented vegetable like sauerkraut or kim chi, or make an omelet using your other farmer’s market finds.